Jack turned four this week. At school they have a great birthday walk tradition, where parents get to bring in snacks and pictures and talk up their kid a bit during circle time. It’s a chance to really stop and think about the little person they’ve become. Jack loves digging and dumping, building legos, riding his two-wheeler and painting pictures. He loves to puddle-jump after rainstorms, then inevitably cries over wet socks. He’ll do just about anything for a smile or a giggle (especially knock-knock or poop jokes, or some combination of the two), but never minces words when he has something important to say. So, when we offered to take him out to dinner to celebrate his birthday, for pizza or burgers or burritos, he made it clear that that wasn’t at all what he had in mind. Instead, he invited himself to dinner at Grammy’s house and ordered “Pork without the black stuff, broccoli and salad. And, chocolate chocolate chocolate cake.” Then he turned to my sister and demanded she buy the pork. Later, we learned that pork was actually steak, but regular steak, not the poor excuse that lingered too long on the grill last week because someone around here has fog between her ears. The undesirable black stuff was charred fat which, apparently, ruined the entire meal for the little big man. And so it was … Auntie Didi bought the steak and Grammy cooked it. She got to roast the broccoli too, salty and toasted (NOT charred!) crowns and softened stems just the way he likes it. He didn’t have to say it. His message was loud and clear: Mom cannot be trusted. So, I did what any self-respecting parent desperately trying to re-inflate her ego would do. I baked the biggest, baddest, towering tophat of a chocolate cake. 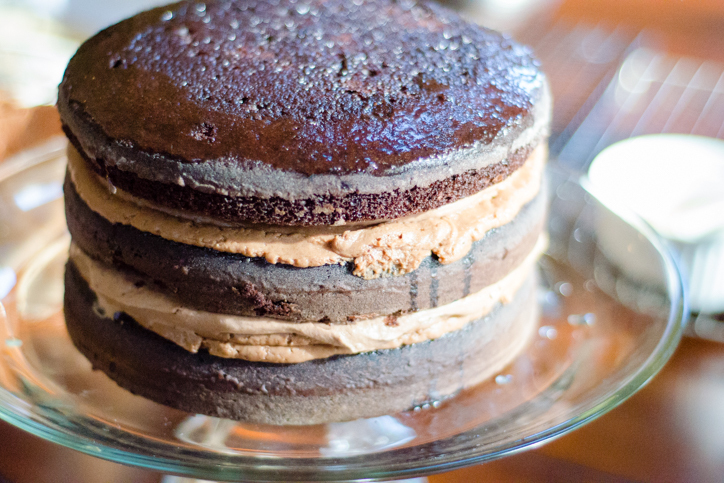 and frosted with creamy chocolate buttercream. After dinner he made a wish, spit out the candles (blowing air is a tough concept), and sat still long enough to eat an entire piece of cake. He cried wide crocodile tears when I tried to send some home to his absent cousin, and parroted more, more, more, until (much later), head on his pillow, the pleas were but mumbles on barely moving lips. He padded into our bedroom pre-dawn the next morning, all spikey hair and squinted eyes, and pleaded for more cake for breakfast. Then he asked if I (!) could make him steak, again, for dinner. Maybe I’d redeemed myself, or maybe he just wanted to see me smile. This cake, barely tweaked from The Model Bakery Cookbook is transformative and so worth the time and effort. 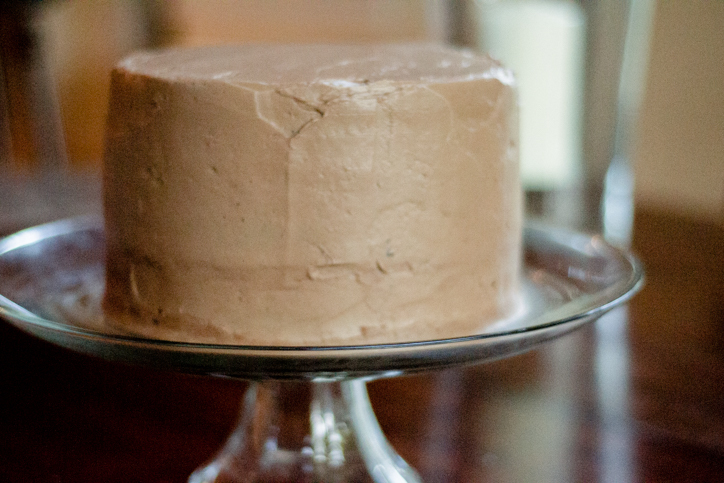 Yes, it takes awhile but the process can be broken down into three under-an-hour steps (make the devil’s food cake, whip the buttercream frosting, make the mousse + frost the cake) that can be completed over two days. And it has major wow-factor for special birthday or anniversary celebrations. I will never make chocolate cake from a box again. Tomorrow I will spread leftover buttercream frosting on toast for breakfast. It’s that good. Much better parents than I may decide that chocolate and coffee, together, in one cake batter is best for an adult audience, but it seemed to leave our kiddos no worse for the wear. Preheat the oven to 350 degrees and set a rack in the middle. Grease the bottom and sides of three 8-inch round cake pans with butter. Cut out three parchment rounds and fit them in the bottom of each pan. Sprinkle a handful of flour in each pan and swirl it around the bottom and sides of the pan, coating evenly. Discard excess. Sift the cake flour, cocoa powder, baking powder, baking soda and salt into a medium bowl and set a side. Slice the butter into large pieces and place in a large bowl. Beat with a hand mixer or in a stand mixer with the paddle attachment, on medium speed, until smooth (about 1 minute). 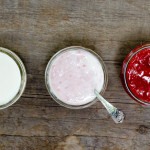 Add the sugar slowly and continue to beat until the mixture is smooth and pale in color (about 3 minutes with the stand mixer or 5 minutes with the hand mixer), stopping once or twice in the middle to scrape down the sides of the bowl with a spatula. Add the eggs, one at a time, fully incorporating it into the batter (about 30 seconds each) before adding the next one. Reduce the mixture to low and add the flour mixture in three additions, following each addition with half of the coffee. Scrape down the sides and continue mixing until just combined. Divide the batter evenly between the three pans, rapping each one on the table to level the batter. Slide into the middle rack and bake until the cake begins to pull away from the sides of the pan, and it barely springs back in the middle when pressed with a fingertip, about 22 to 25 minutes. Let cool in the pans for ten minutes, then transfer to wire cooling racks, peel off the parchment, and let cool completely. The cakes can be made up to two days in advance, wrapped in plastic wrap and stored at room temperature. Place the eggs and then the sugar in the bowl of a stand mixer. (Make sure the bowl is clean and free of debris). Pour about two inches of water in a 3 to 4-quart stockpot that will hold the bowl snugly (without the bottom of the bowl touching the water) and bring the water up to a simmer over high heat. Reduce the heat to low and fit the bowl on top. Stir constantly but not vigorously with a whisk, until the sugar is completely dissolved and the mixture is hot to the touch, about 2 minutes. Attach the bowl to the mixer and fit with the whisk attachment. Beat on medium-high speed until the mixture forms stiff peaks and the bottom of the bowl is cool to the touch, about 10 minutes. While the whites are going, place the chopped chocolate in a small, microwave safe bowl and melt at 30-second increments at 50% power (about 4 to 5 increments). Set aside. When the whites are stiff and shiny, reduce the mixer speed to medium and begin adding the butter piece by piece, fully incorporating each one before adding the next (about 5 to 10 seconds per piece). The butter should be soft but not melting. Leaving it out in a 65 to 70 degree kitchen for about 2 hours does the trick. About halfway through it starts to look like whipped cream. Keep going. If you add too much butter at once, it may separate a bit and look sort of like scrambled eggs. Have no fear! 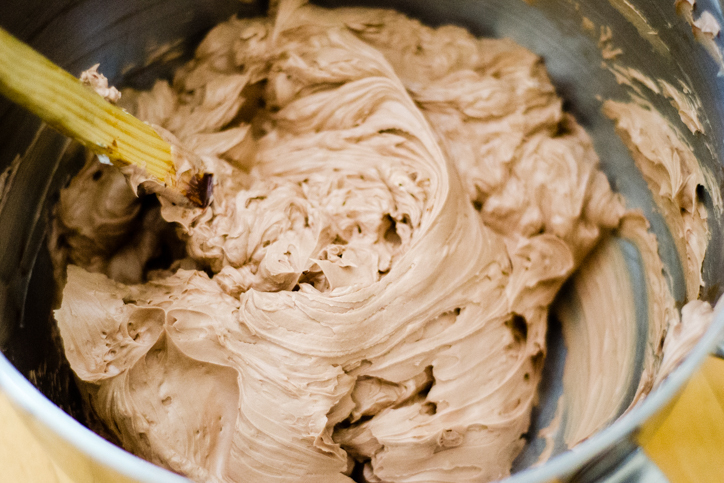 Keep whipping without adding any more butter until the mixture becomes smooth again, then continue adding butter. 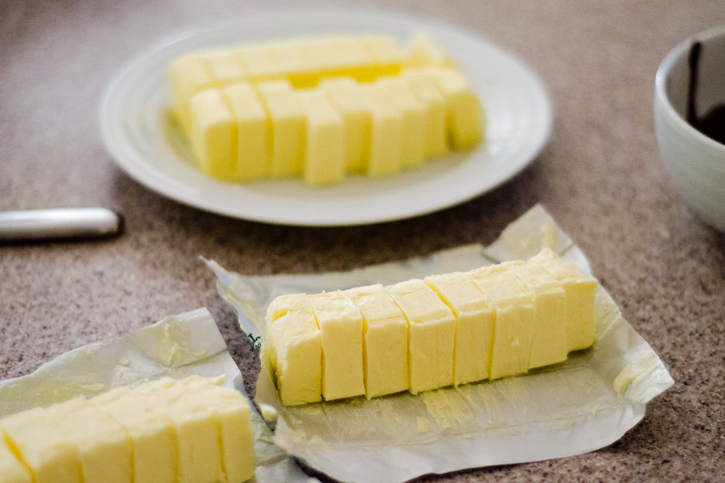 Once all the butter has been added, increase the mixer speed to medium-high and beat for 1 to 2 minutes, until smooth. Add the vanilla extract and melted chocolate and beat on medium-low speed until fully incorporated. 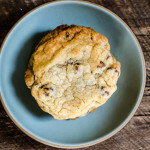 The buttercream can be made up to one day in advance and refrigerated in a covered container. 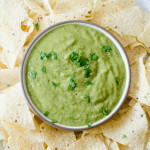 When ready to use, bring back up to room temperature (or microwave for about 7 to 10 seconds) and re-whip until smooth. Bring ½ cup of the cream up to a simmer in a small pot over medium heat. Place the chopped chocolate in a medium bowl and pour the hot cream over the top. Let sit three minutes, add the corn syrup, stir to combine and set aside. 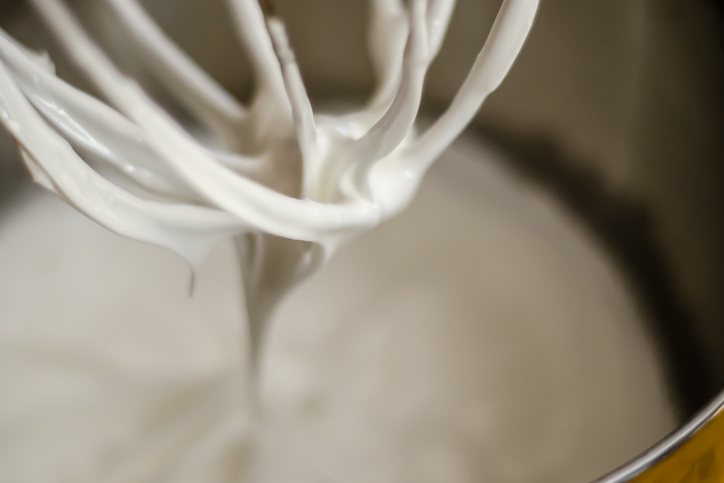 Whip the remaining one cup of heavy cream in a chilled large metal bowl, (either in a stand mixer with the whisk attachment or with a hand mixer) on medium speed. After about two minutes, slowly pour in the sugar and whip until soft peaks form, about 5 minutes. Stir about a quarter of the whipped cream into the chocolate mixture to loosen it and then fold in the remaining whipped cream with a spatula. With a serrated knife, slice just enough off the tops of the three cakes so they’re even across the top. 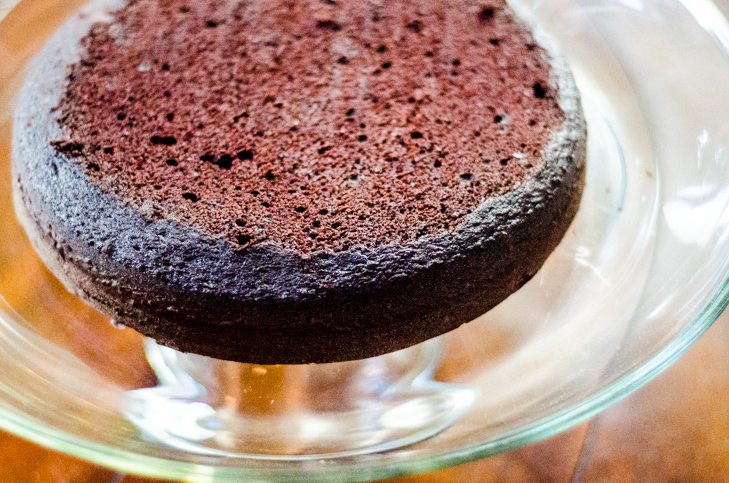 Place the first layer on a cake plate or decorating turntable (if you have one). Fit a pastry bag with a 7/16-inch tip and fill with about a cup of the buttercream frosting. Pipe two wide circles around the perimeter of the cake, creating a dam. 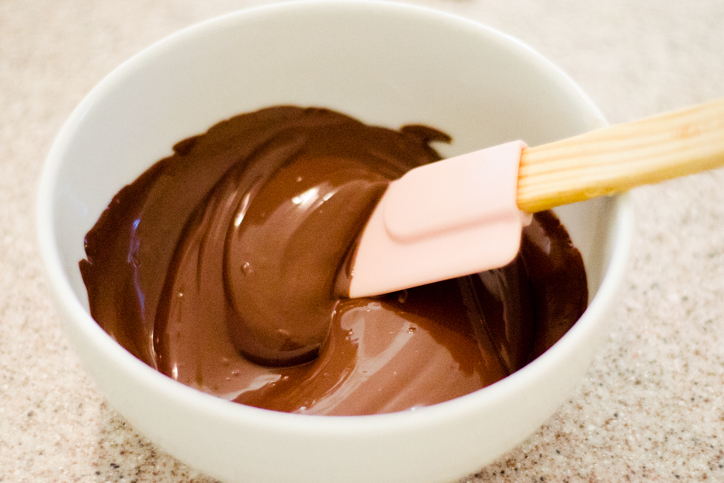 Fill with about half of the mousse, smoothing it across the top. Fit with another cake layer and repeat the piping and the other half of the filling. (Note: I used about 1/3 of the mousse filling for each layer and that was enough – you may not need to use all of it). Fit with the third cake layer and refrigerate immediately for 20 to 30 minutes to harden the frosting and mousse. Refrigerate the frosting as well. 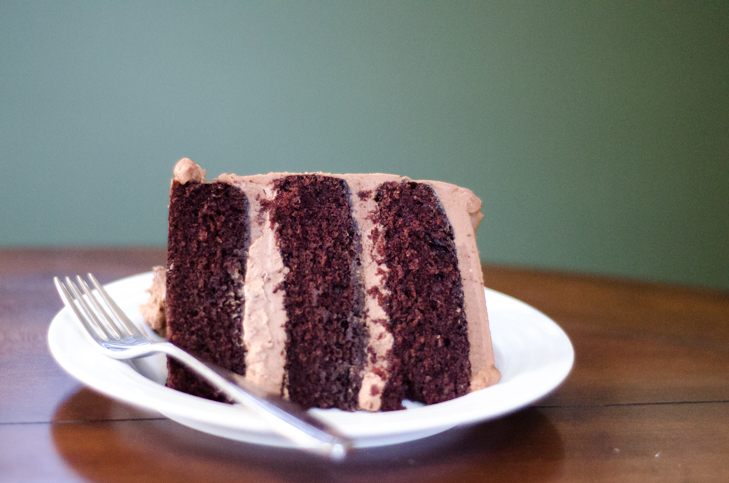 Remove the cake and frosting from the refrigerator and re-whip the frosting with a hand mixer or in the bowl of a stand mixer with the whip attachment. Using an off-set spatula, frost the outside of the cake. 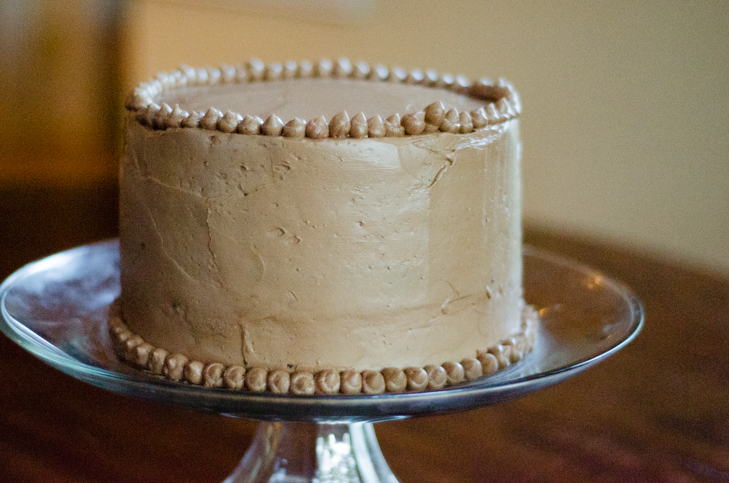 Use the remaining frosting in the piping bag to pipe dots around the perimeter of the top and bottom of the cake. Refrigerate for up to a day before serving, and let sit at room temperature for 15 to 30 minutes before serving.